Retro Festival – Here we come! So looking forward to the Retro Festival this August 8/9/10 – back bigger and better for 2014. We had such a good time last year – great music, fab weather and lots of customers – all you need in a great festival. Three Live Music Stages, Dance floors, Show Arena & Air show! 100’s Of Vintage, Classic & American Vehicles! Vintage & Retro Homewears & Clothing Traders plus Auto Jumble! Kids Zone, Food & Bars, 2 Camping Sites! Steam Engines & Miniature Steam! 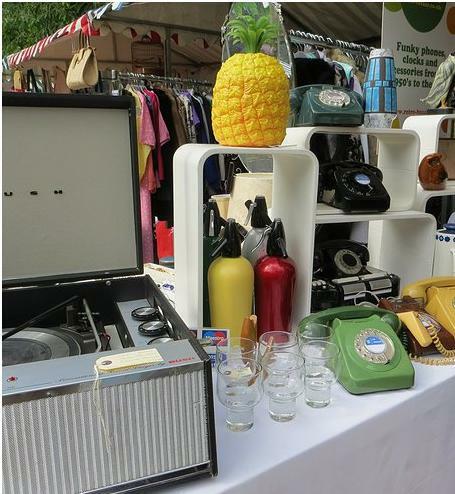 We will be based in the Retro Market and will be bringing the best of our fab stock – radiograms, record players, furniture, funky phones, homewares and deckchairs too! Other sellers will also be offering original vinyl music, authentic vintage fashion, rock n roll reproduction clothing, jewellery, toys, and so much more. The market also hosts vintage beauty parlours, hair & make-up, barbers, a tattooist, craft sellers, artisans & local produce sellers. Bring cash! You’re gonna need it! However we also take credit cards so you can shop till you drop.